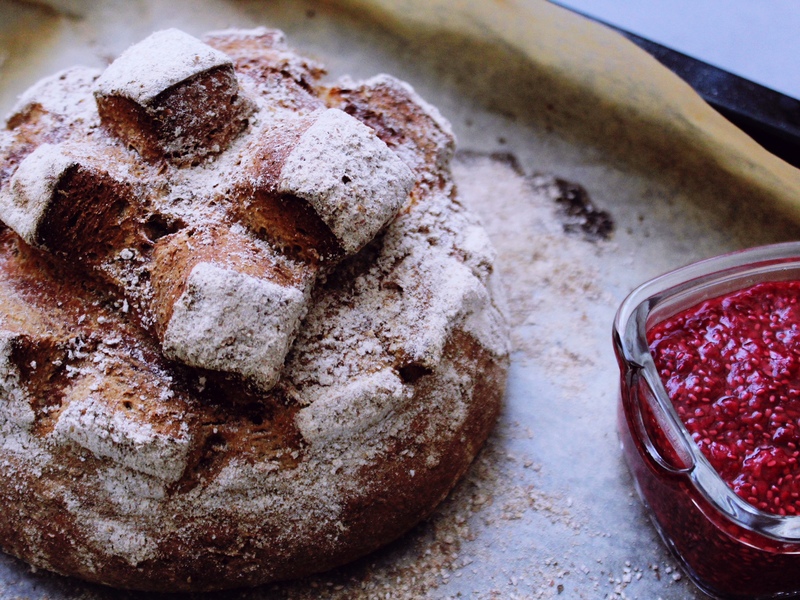 Sourdough has been super trendy for the last few years, and cafes and supermarkets have certainly caught on. You can easily spend £4 on a single loaf. You can also easily buy it in a supermarket and find that you’ve bought ‘standard’ yeasted bread with added sourdough flavour, and been charged double the price for the privilege. There’s tonnes of mis-information circulating about sourdough, too – it’s temperamental and difficult to make (untrue), it’s yeast-free (also untrue), it’s expensive (completely untrue, unless you’re buying it rather than baking it, in which case, better start saving up now). 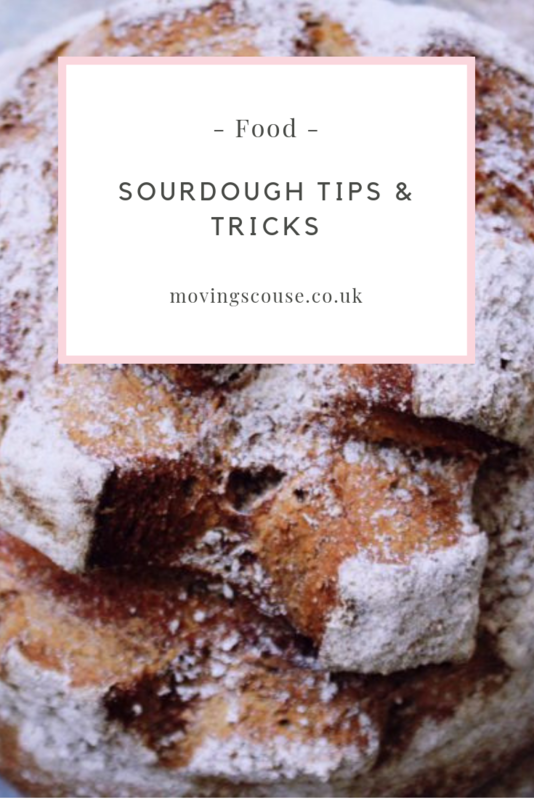 In todays post, I’m sharing all my sourdough tips & tricks, debunking a few myths along the way, and explaining how I fit regular bread-making into my day-to-day life. Not at all. If you google ‘sourdough starter’, you’ll get about a million hits. Some instructions are admittedly quite complicated, but the truth is that making a sourdough starter doesn’t need to be hard. Over the years, I’ve tested a few different methods, including using a powdered starter, and using fruit. 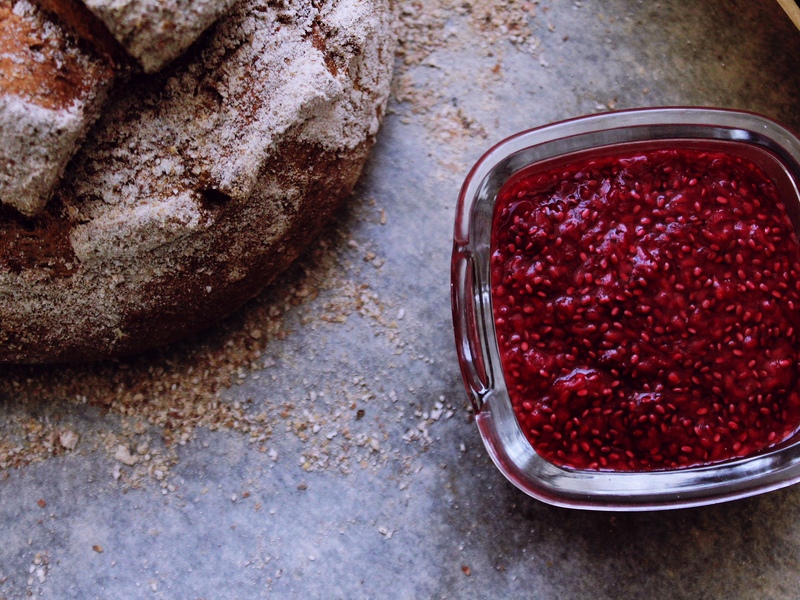 You’ll usually find advice that tells you to use unwashed fruit, but I’ve always washed mine and it worked anyway. Supposedly, you can even just mix equal parts flour (any bread flour, by the way – strong white or brown, or rye… it all works) and water and leave it for a few days. I’ve never tried this, but I wouldn’t be surprised if it worked just fine. Once you have your starter all mixed up, what you’re looking for is large air bubbles forming, as well as a bready smell. When that happens, you know your starter is alive and kicking! There are rumours that sourdough starters are some sort of gluten-fuelled tamagotchi. This is untrue. I know people talk about regimented feeding schedules and so on, but I literally stir in a few tablespoons of flour and a bit of water every few days, and my starter is absolutely fine. The key is to keep an eye on it and respond to what it’s telling you – trust me, sourdough starters are very communicative. If it’s bubbling like crazy, overflowing, or rising and then sinking really fast again, it needs to be fed more often. If it’s slow to react, it might need a bit more water, or a warmer place to sit. If you want it to slow down, throw it in the fridge. If you forget to feed it for too long and it really does stop reacting, use a tablespoon of your existing starter and mix it with fresh flour and water. Chuck the rest out, and leave the new starter for a few days – you’re rolling again. Nope. 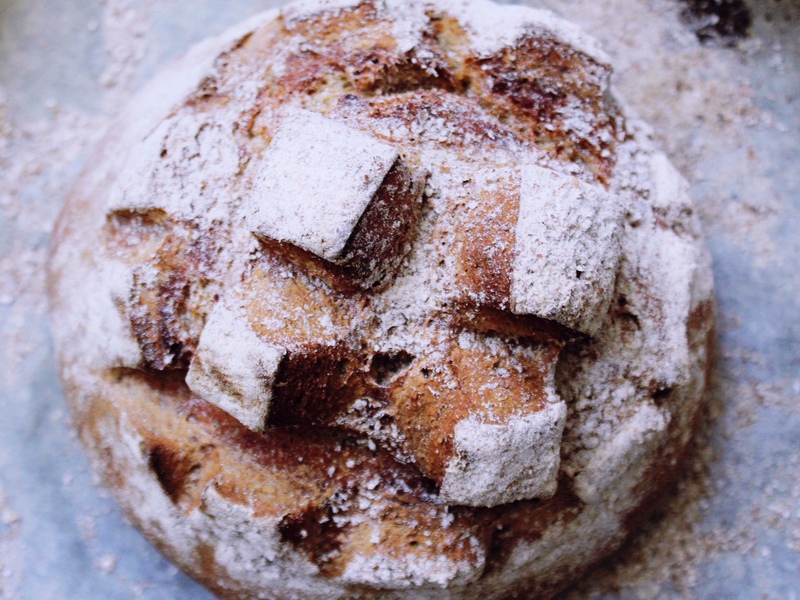 Sourdough is made without conventional yeast, but the fermentation that occurs and gets the bread to rise is a wild form of, you guessed it, yeast. Of course, it’s less artificially cultivated, and it’s said that wild yeast is more digestible than the stuff you buy in the shops, but it’s still yeast. Sourdough baking doesn’t really require a whole lot of active engagement, but it does need a lot of time to rise. I tend to make my dough in the evening, and put it in the fridge for the first rise over night. In the morning before work, I knead again, shape, and put the whole thing back in the fridge for the second rise. As soon as I get home, I put the oven on, score the bread, and we have a fresh loaf ready by dinnertime. I do this about twice a week, so it’s not too time-consuming. 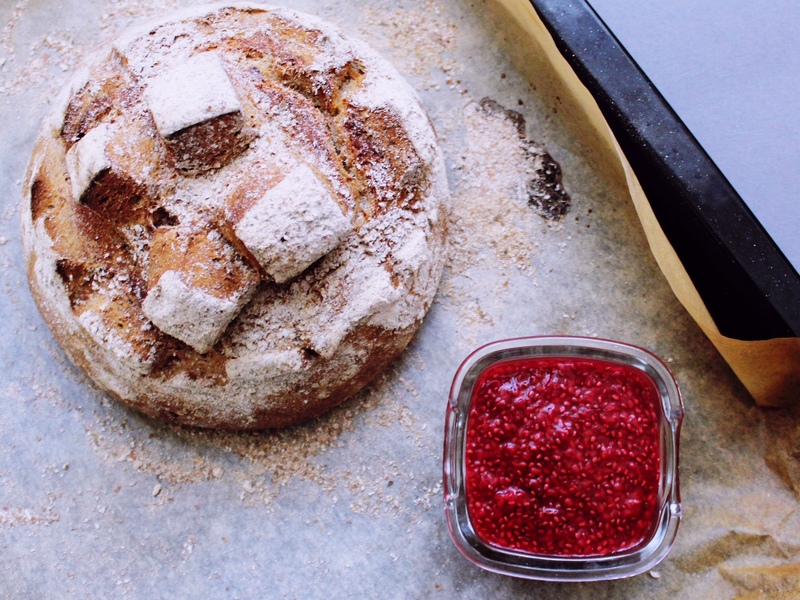 A lot of the sourdoughs you can buy are made with 100% white flour. You’ll also hear people say that it’s not ‘real’ sourdough unless it’s made with nothing but rye. 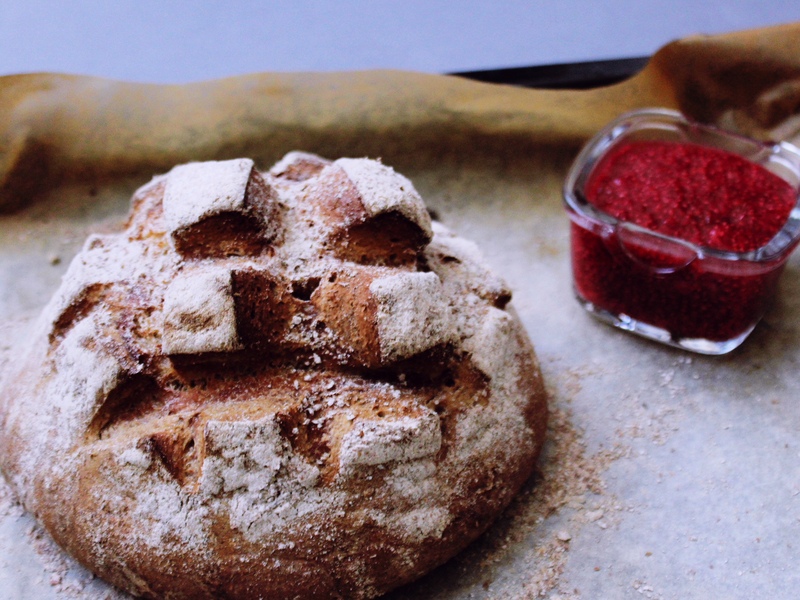 Personally, I like to keep my starter to pure rye flour, and then use strong white flour for the rest of the recipe. However, you can go totally wild with this. Experiment with oat, spelt – whatever you like! 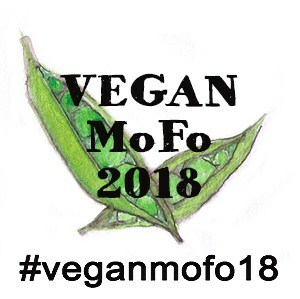 Previous Post Vegan MoFo 2018 | Lush Halloween!